In the wake of the #metoo movement, it’s clear that today’s mainstream perception of masculinity is broken. But many brands are perpetuating old stereotypes that fail to chime with changing consumer opinion. Our New Masculinity series on LS:N Global shows why brands need to help detoxify masculinity, and how they can diversify the narrative around what it means to be a man in 2018 and beyond. Drawing on this unique research, the New Masculinity report is packed with insights to help reposition and create campaigns and product lines that appeal more to today’s male demographic. In this report, we will map out the role brands can play in leading the search for meaning, from the moment boys come into the world to their first day at school, when they enter the workplace and when they become fathers themselves. We can also deliver this research to your business as an in-house presentation. Our skilled analysts will help you to harness the most pertinent insights to prepare your brand for an increasingly genderless future. A look at the broken perception of masculinity in a cultural context and a call for a system-wide appraisal of what manhood has become. We examine the brands turning the narrative on its head with Girlswear for Boys, how to engage with the burgeoning Mature Men’s Beauty Market, the softer version of masculinity gaining prominence in East Asia and the West, and the young influencers redefining male identity. The innovations that nurture emotional intelligence in the workplace, tracking a shift in how inspirational men are portrayed, a discussion on how modern fatherhood is linked to feminism, and creating content for the next generation of dads. 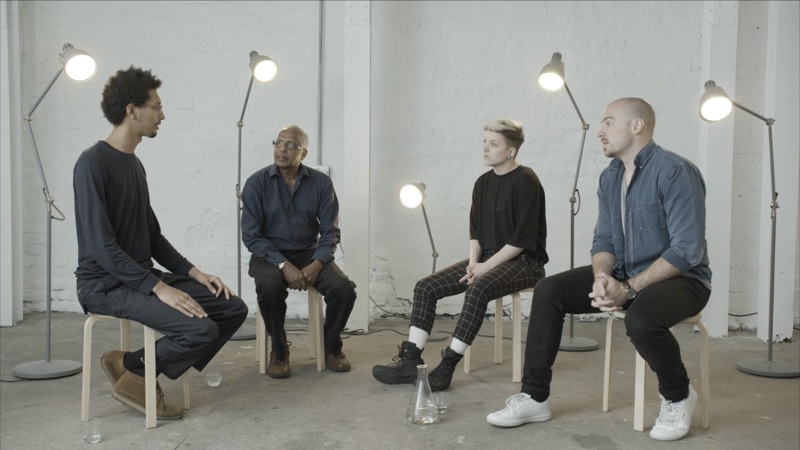 The online platforms helping to destigmatise men’s health problems, new representations of the male physique that embrace diverse shapes and sizes, and changing attitudes to physical strength and masculinity. 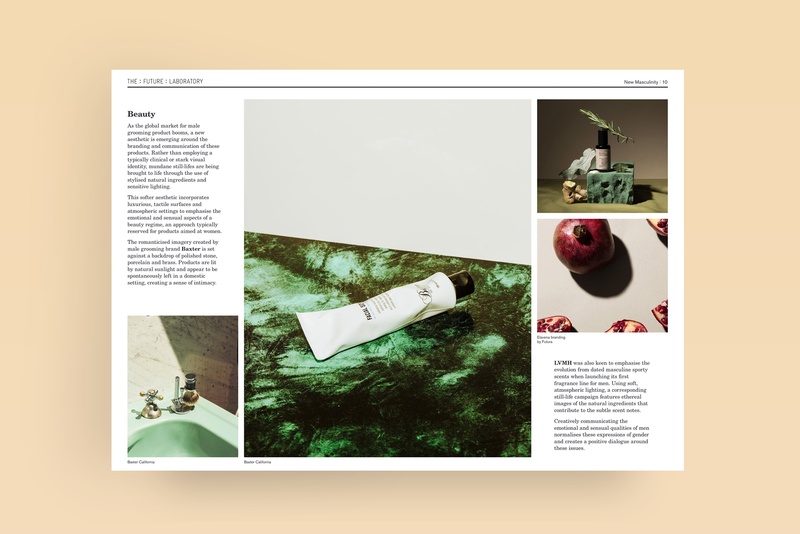 Reviewing the campaigns that debunk male marketing myths, and the evolving aesthetic of masculinity across branding and communications, packaging, beauty and art direction. The report includes practical strategies to harness the intelligence within your organisation, from championing inclusive imagery to promoting new visions of male self-expression. Do you want to be part of the solution to toxic masculinity? Is your brand ready to redefine male strength? Help prepare your business for an increasingly genderless future by downloading the New Masculinity Report now. If you are a LS:N Global member, you can access the New Masculinity report for free on LS:N Global here. Our New Masculinity presentation will help you reposition male-targeted campaigns and product lines, and develop new products and services that act to support a more diverse view of masculinity. 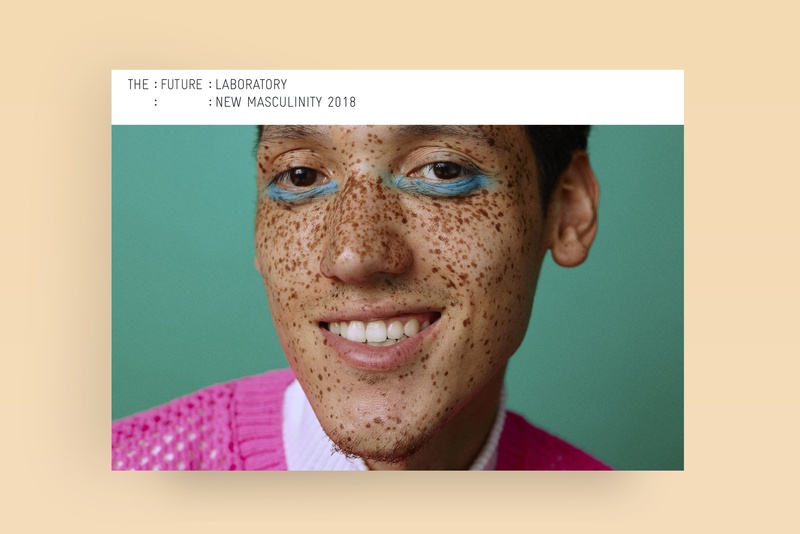 This report is based on research from our New Masculinity series on The Future Laboratory’s trends intelligence platform, LS:N Global. Members of LS:N Global gain exclusive access to the trends, markets and innovations that will define the future. Members are also entitled to a range of benefits and services, including free access to all of our trends intelligence reports.